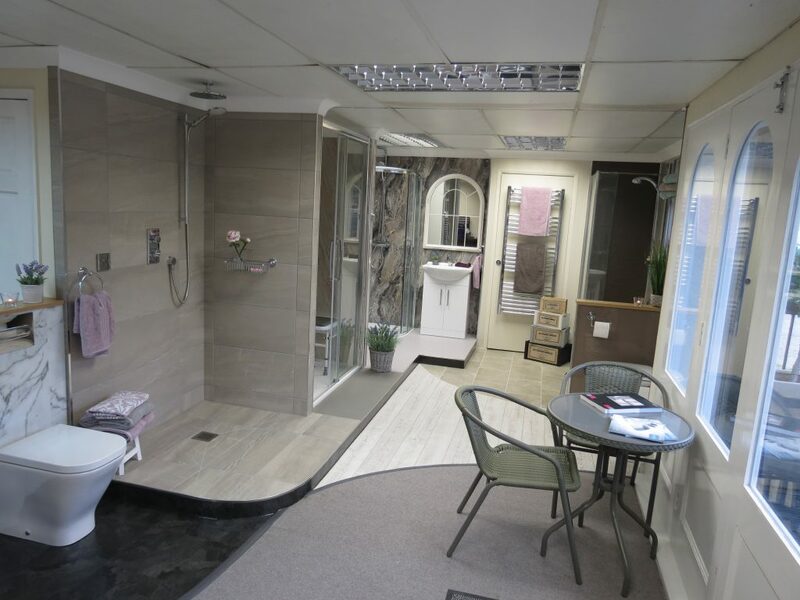 Nightingale Bathrooms are pleased to announce the installation of our new mini showroom at our West Malling premises. Although small, our showroom shows examples of the types of installations that we carry out on a regular basis. We have installed a level access quadrant shower cubicle and an alcove style shower cubicle with sliding doors. There are two types of wet rooms; one is fully tiled and one shows Altro slip resistant safety flooring. In addition to this we have also installed a standard height W.C. alongside a raised height one so that our customers can see the difference. Our most popular installation is a bath size shower tray with part fixed and part rotating shower screen which is shown with Mermaid panels, wall fixed wooden shower seat and stainless steel grab bars. We offer a wide choice of wall panels from Mermaid, Multipanel and Bushboard. As we deal with all three manufacturers we can offer an extensive range of colours and patterns and have many options installed in our showroom. Colour swatches are available. Altro Pisces slip resistant safety flooring is on show along with Karndean Knight Tile in both tile effect and wood effect options. We have sample cards available for these. Please feel free to pop in if you are passing by or alternatively, if you would like to meet one of our Surveyors while you are here, call us free on 0800 566 8889 to arrange an appointment or email us at info@nightingalebathrooms.co.uk. Our new brochure is out now!